Nothing slows you down from your training regimen, day to day routine, or just the simple pleasures in life more than chronic pain from injuries. Patients often wonder how they can recover from injuries quickly, relieve themselves from reoccurring pain, while avoiding surgery and traditional medicine. Prolozone injection therapy can help heal you from your chronic pain faster without having to worry about the time and recovery from traditional surgeries. Patients often experience immediate relief after the first treatment, with significant improvement coming with multiple prolozone injections. 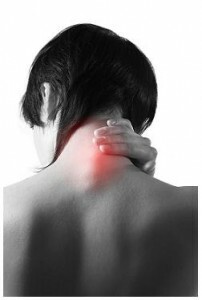 Furthermore, those suffering from chronic pain stand an excellent chance of becoming permanently pain free! What is Prolozone Injection Therapy? Prolozone is derived from the Latin root, “proli,” which means to rebuild or regenerate, and the word ozone. “Prolo” is used, stemming from the word “proliferation,” because the injection causes the proliferation (growth, formation) of new tissue. Prolozone injection therapy involves the use of ozone to help speed the healing process. Oxygen-rich ozone is injected into the soft tissues, ligaments, and tendons, along with collagen producing substances. This causes inflammation of the area, which increases the blood flow, circulation, and the delivery of nutrients, fibroblasts, osteoblasts, and chrondoblasts. Prolozone injections encourage the tissue to repair itself. Ligaments act like shock absorbers in the body and if they become damaged or weakened it is difficult for them to heal back to their original state. This is partly due to the fact that ligaments receive a limited blood supply, which slows down the healing process. Ligaments are rich in nerve endings, which also means that the person will feel considerable pain in the areas that are injured. How Does Prolozone Injection Therapy Work? Prolozone injection therapy works by injecting patients with collagen substances that regenerate damaged or injured tissues. These substances stimulate tissues to regenerate and repair themselves, strengthening the joint and ultimately relieving the pain. Blood flow is increased to the injured areas, delivering nutrients and healthy repairing cells. Some people heal more quickly than others and only require one to two prolozone injections, while others may need upwards of five or six. Your doctor will determine how many prolozone injection treatments you need after your initial consultation. Prolozone injections are a homeopathic therapy that carries very minimal, if any, side effects. They are highly effective in the treatment of injuries and pain that may otherwise require surgical intervention. Pain relief is experienced immediately and the condition of the injured area continues to improve with further treatments. If you are experiencing chronic pain, prolozone injection therapy can help you take back your life. Contact us for more information on what we can do for you in your individual situation!